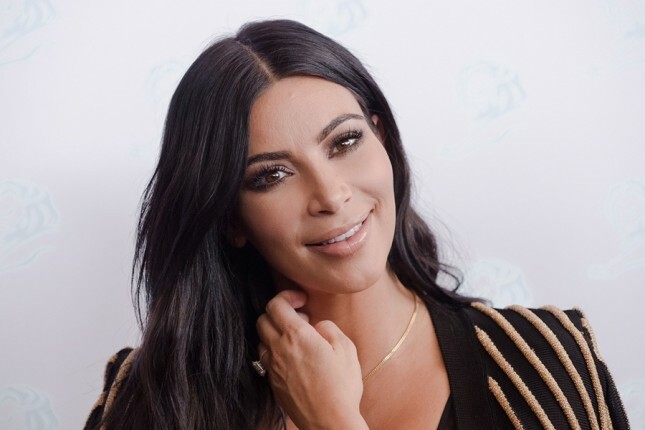 INDUSTRY.co.id - United States - Beautiful artist Kim Kardashian announces the birth of her third child on Tuesday (16/1) yesterday. Quoted from Reuters, the announcement was delivered Kim and Kanye West through the application.
" Kanye and I announce the arrival of our healthy and beautiful baby girl," the message Kim said. The female baby was born from a surrogate mother. This is already confirmed Kim on the TV Show Trailer 'Keeping Up With The Kardashians', where three of the siblings are waiting for the child's birth at the same time. Khloe Kardashian and Kylie Jenner are also pregnant. Even so, Kim Kardashian and Kanye West are deeply happy that the surrogate mother has tried to conceive and give birth to their baby, and make their dream to have children come true. "He made our dreams come true with the most beautiful gifts that blessings are given", he continued in the message. Kim and Kanye have not yet announced the names of their babies known to be born on Monday (15/1) of this.